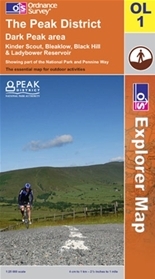 This one just stood out on our last trip to the peak district and we had to go back and climb . At the foot of the hill lays the massive Ladybower dam, this alone is worth the trip up there. 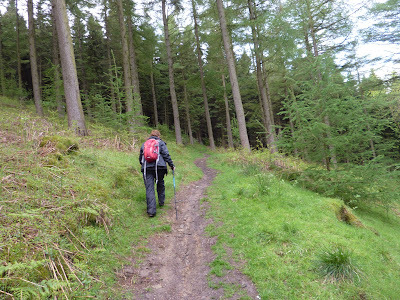 The path is very easy to find and you soon find yourself making your way uphill through the woods called Winhill Barn. As you near the top of the forrest the path starts to get fairly steep with a lot of mud underneath, also watch the path, some walk boards had become overturned with the nails sticking up just ready to catch you. 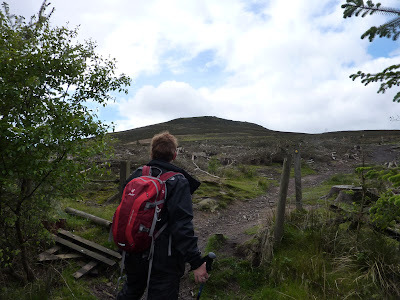 We cleared the woodland and made our way across Thornhill Brink to reach the trail that leads to the Win hill summit. The top stands at 437m not the highest we have done but it was the windiest thats for sure. 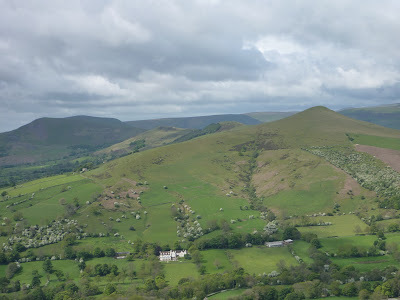 The views are great from the top, over towards the Edale valley you can see the Kinder plateau and then looking west from the top you get some great views of Lose hill, Back Tor and the massive Mam Tor (we will climb this lot next time). 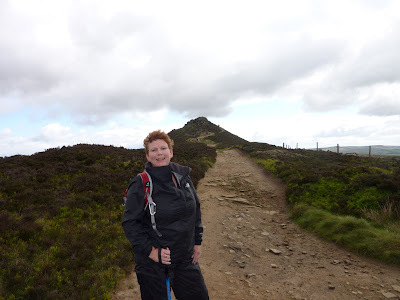 To the north is the derwent edge that we climbed the last time we were here. 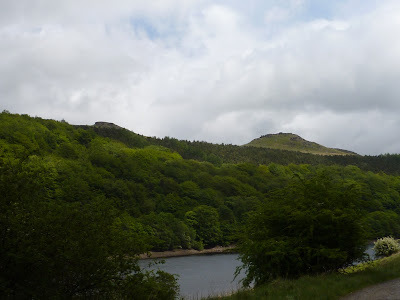 we then worked our way down the old roman road towards the woodlands Valley to pick our route back along Ladybower reservoir, on the way you can see Crook Hill again we shall walk this another day i hope.